I am Catholic because of EWTN (the Eternal Word Television Network). 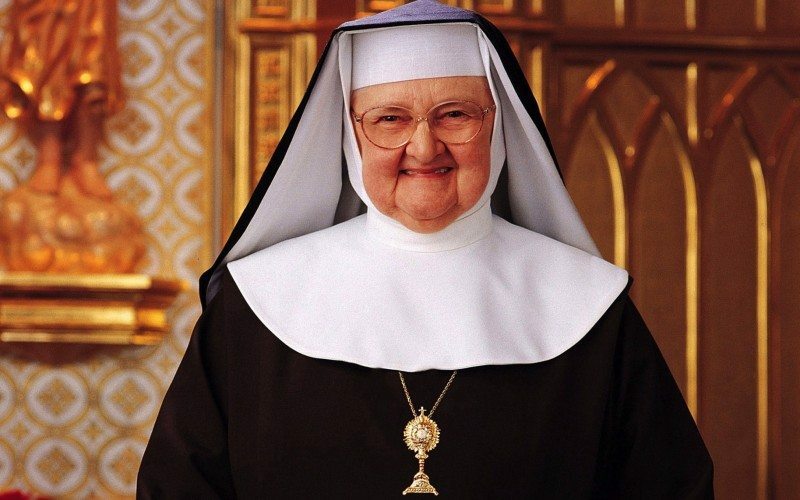 Over twenty years ago I started watching the network out of curiosity and discovered Mother Angelica speaking wisdom in a very down-to-earth, straightforward way. In those same years of first listening to her, I was in seminary where I had the experience in which everyone, especially men, gingerly danced around certain subjects for fear of incurring the wrath of feminists and liberals and professors who supported the far-left agenda. We learned quickly at seminary that frankness was taboo if frankness conveyed virtually anything orthodox. But if one spoke from the “left” camp, then frankness could sound like a machine gun in the hands of a terrorist and all would remain well in the halls of sacred theology. In contrast to that sophomoric but very dangerous pretension, Mother Angelica was a huge breath of fresh air. I loved her. When I discovered her full story, how she grew up in a rough neighborhood in a single-parent home (her father having deserted them), my admiration grew exponentially. She matured into a nun whose faith took her from Ohio to Birmingham, Alabama where with nothing but courage and trust in God’s provision she began a monastery whose outreach eventually included the formation of the largest religious network in the world. Faith and a bold spirit gave her the wherewithal to do what God asked, though what He asked was not in her sphere of talent or expertise. Her abandonment to God’s will — when nothing about it made sense from a worldly point of view — proved for me an enormous inspiration. After several years of watching EWTN a new program was introduced on Monday evenings, The Journey Home, with Marcus Grodi, a former Presbyterian pastor, as host. The format was simple but riveting. Week after week he interviewed Protestants who were making the journey home to the Catholic Church. 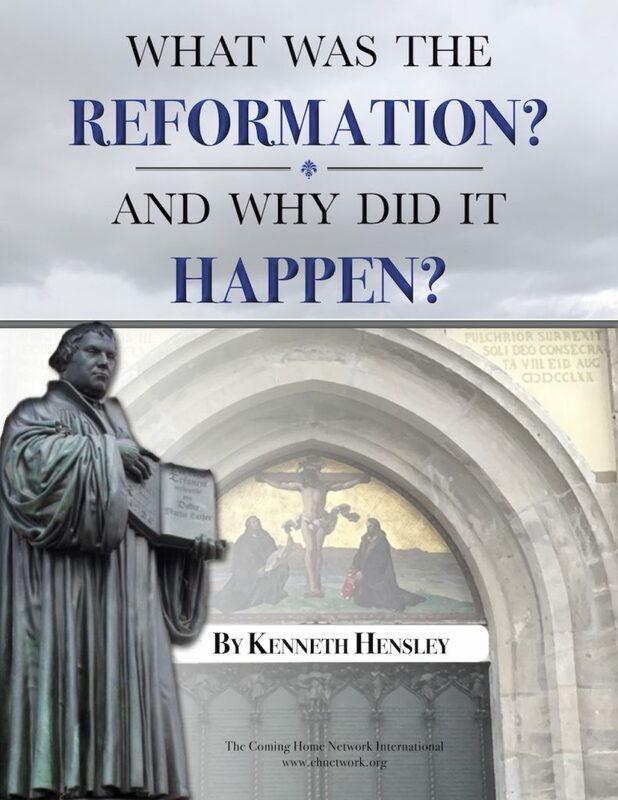 Sometimes his guests were former atheists or agnostics; sometimes Catholics who had abandoned their Church but who, by grace, found their way back to the Church. I loved hearing stories of how God used unexpected circumstances to draw people to His Church. Little did I know the time would come when I would appear as a guest on The Journey Home. The wonder of it all! But of all the programming, it was the daily Mass that captured the whole of my being. I listened carefully to detect statements that could disturb me. I paid close attention to the homilies expecting eventually to be turned off, but what I heard was the purity of the Gospel both in the liturgy and the exposition of Scripture. I wanted it to be otherwise, but God wanted me to see and hear the liturgy as the earliest Christians had experienced it. The time came when I couldn’t deny the reality of what Jesus said and what I was seeing on television. Nor could I deny that the Catholic Church was being true to Christ and His teachings. But it took many years for me to find the courage to embrace what God was offering. EWTN was an important step in my becoming Catholic.